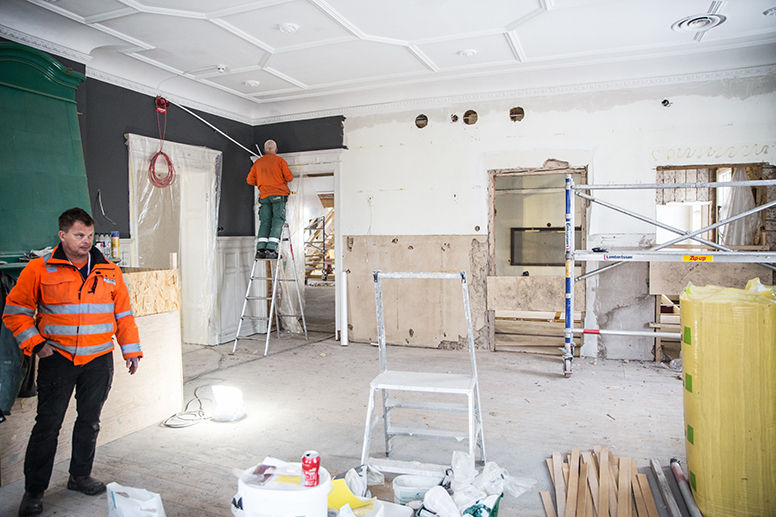 The construction workers who started the refurbishment of Ryds Herrgård in the middle of October have uncovered several surprises. Fifty years of student life have left their mark on the building. A temporary entrance has been established in the basement while work is under way, from where it’s possible to look straight up through the ceiling to the next storey. 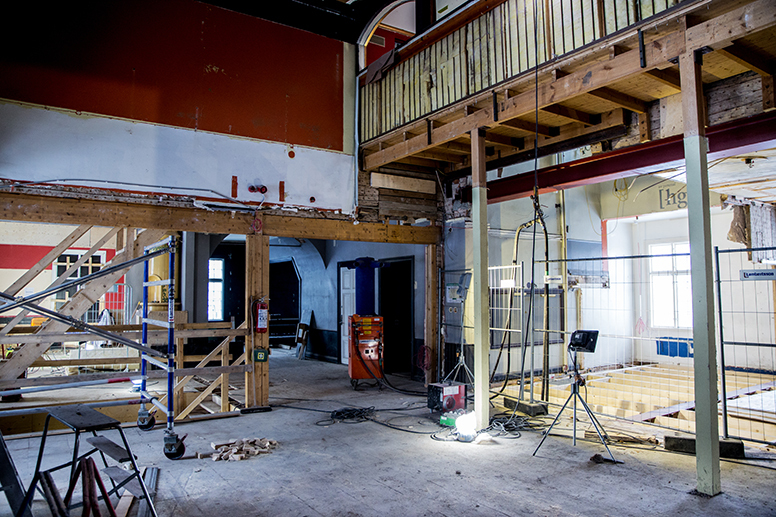 “We were compelled to rebuild the supporting layer for the stage and dancefloor completely. 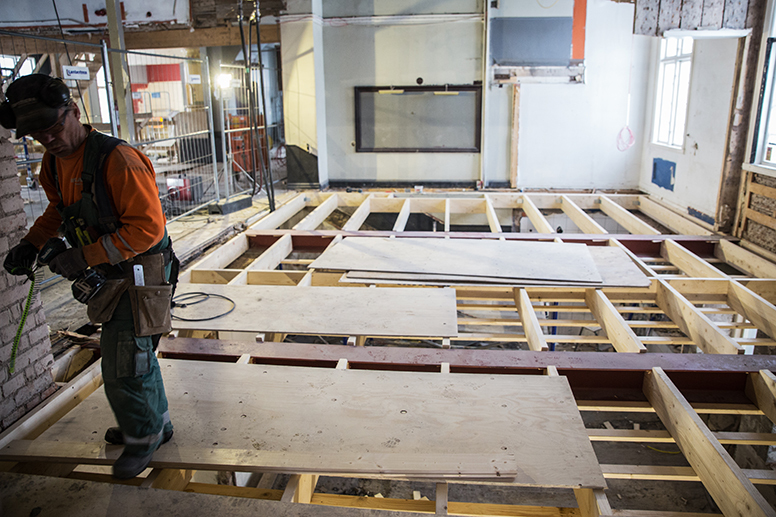 The old floor swayed worryingly under the weight of a single person”, says managing director of Kårservice, Niklas Selander. 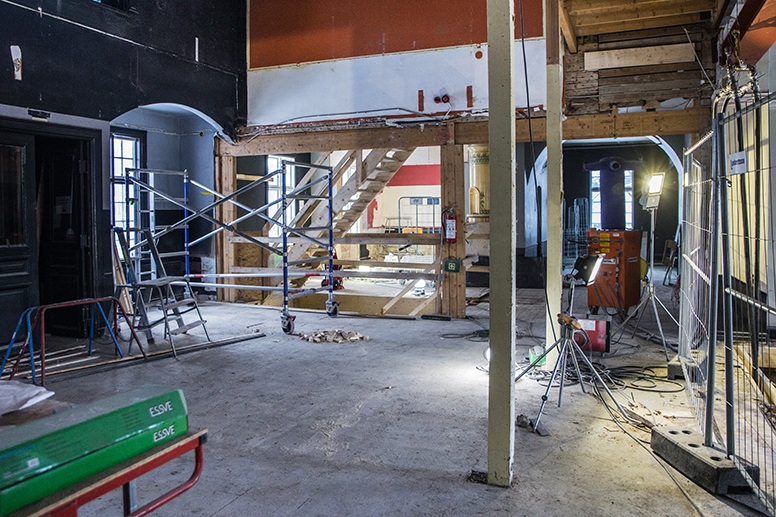 He takes us up a temporary wooden staircase from the basement to the ground floor, and shows the reassuringly sturdy new beams that support the dancefloor, where large formal dinners will also be held. Refurbishment started in October last year. By then, the building had served as student union since Walpurgis Night 1968, and was in urgent need of renewal after 50 years of student life. Now, Herrgårn is being restored to the glory of former days. Student activities will remain fundamental to the life of the building. 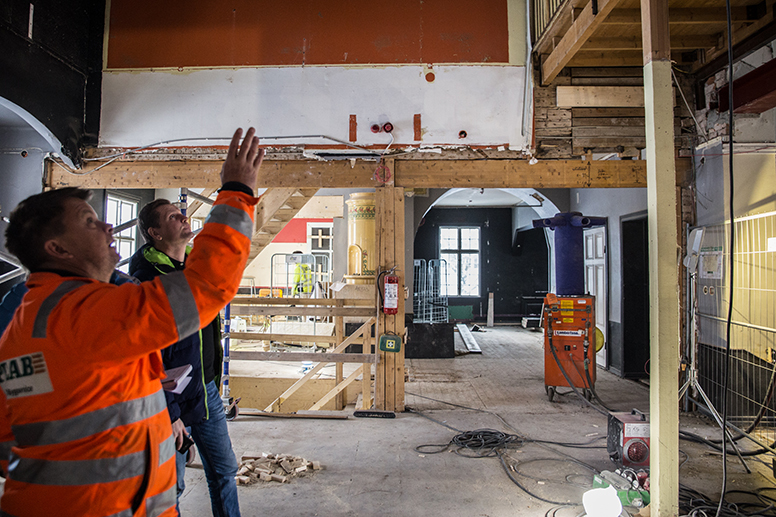 But Herrgårn will also be open during the daytime, with study places and a Drivbänkscafé (incubator café), where others than just students will be welcome. 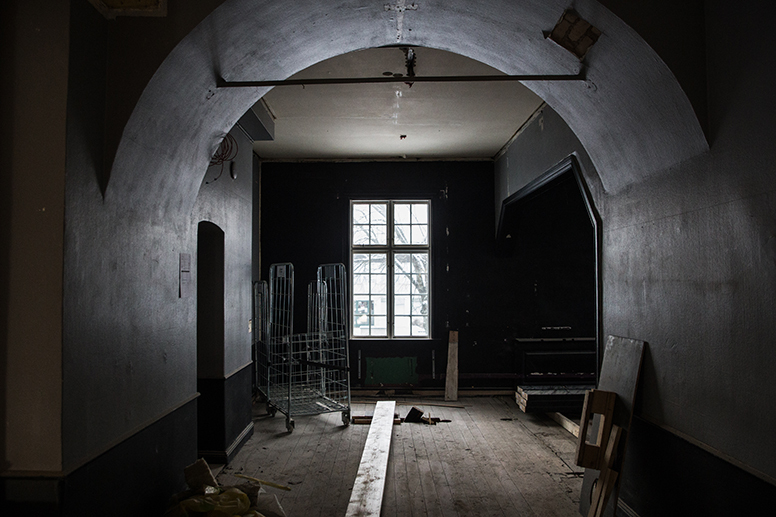 The work has reached the half-way stage, and other surprises than just an unstable dancefloor have confronted Peab’s site manager Tord Karlsson. It’s also reassuring that all the wiring, heating and plumbing is being replaced. Unauthorised modifications made by students to the electricity supply were astounding. “Potentially lethal”, comments Tord Karlsson. 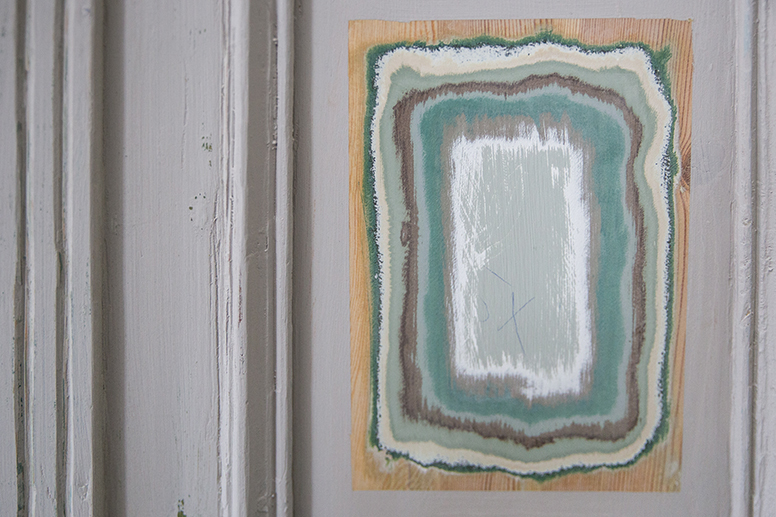 Painters are fully occupied removing old paint from the walls. Between eight and 13 layers can be identified in the small patches that have been preserved in some places. 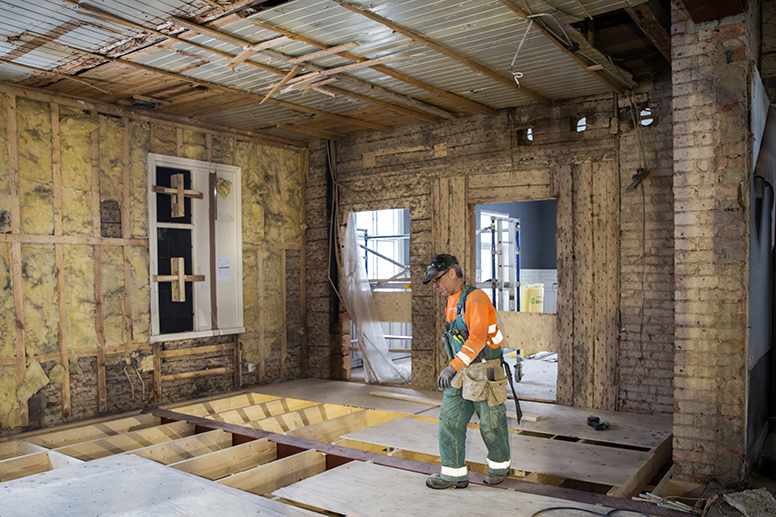 Since the building is listed as a site of architectural heritage, the work is being carried out in collaboration with an antiquarian. Studentbostäder owns Herrgårn, while Kårservice rents it from them. It is currently in the process of recruiting operating teams. It is hoped that Herrgår’n will be completed in time for the summer holidays. If not, the final deadline is the start of the autumn term, 21 August.